Popsicles are a summer staple. With the warmer weather, we will eat anything that cools to us down! 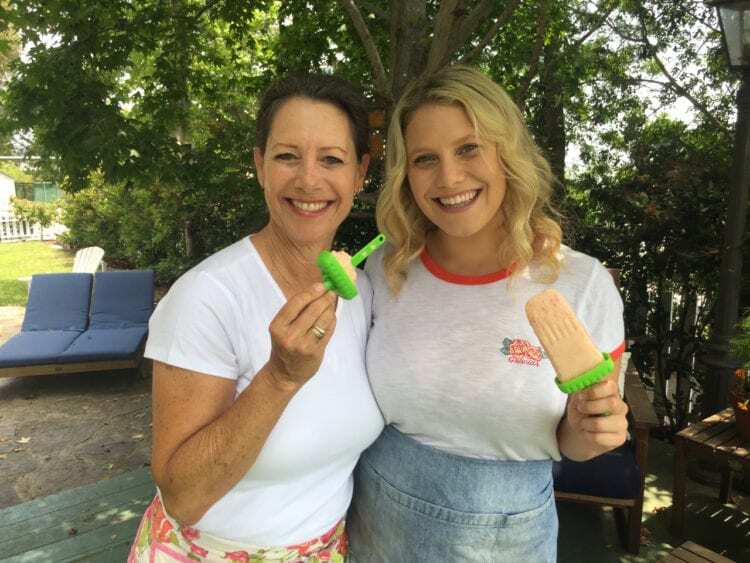 I mean, there never needs to be an excuse to eat frozen treats, but it is just that much more satisfying during the summertime. Since we like to eat seasonally too, there is a surplus of nectarines at our farmers market. Finding new ways to use them in our recipes is always fun. 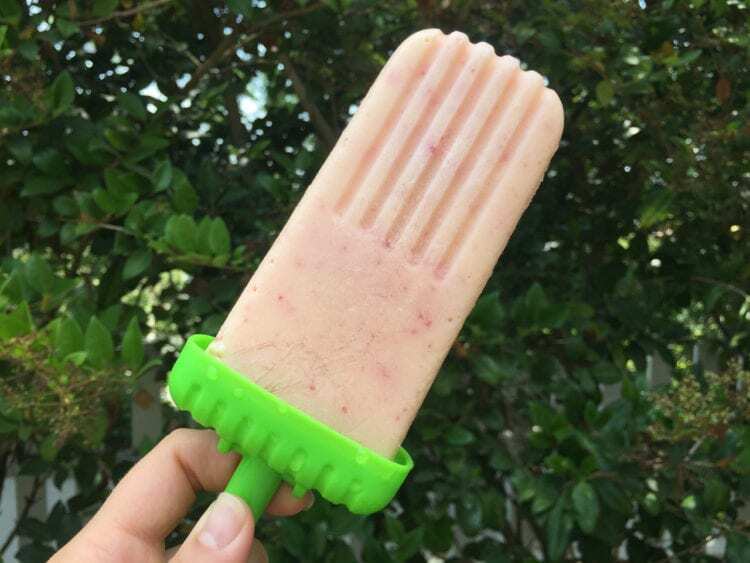 Meg’s came up with this nectarine popsicle recipe because a friend of hers had brought over some cool popsicle molds and needed help creating some fun new treats for her kiddos. 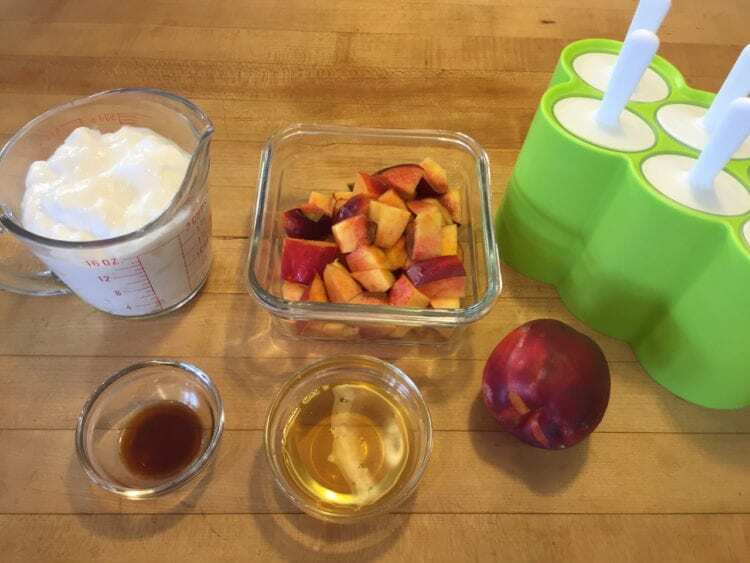 We love nectarines because of their smooth skin (no need to peel) and extra sweet flavor. You only need a few ingredients to make these delicious treats! 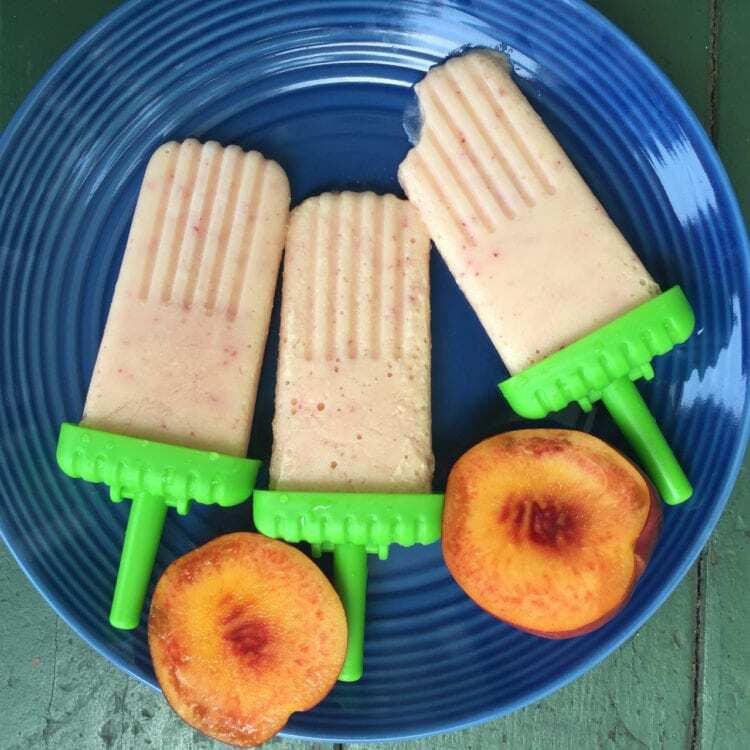 Even if you don’t have popsicles molds, you can get creative with Dixie cups and wooden spoons for the sticks! Scroll down for the full recipe and watch our recipe video HERE! 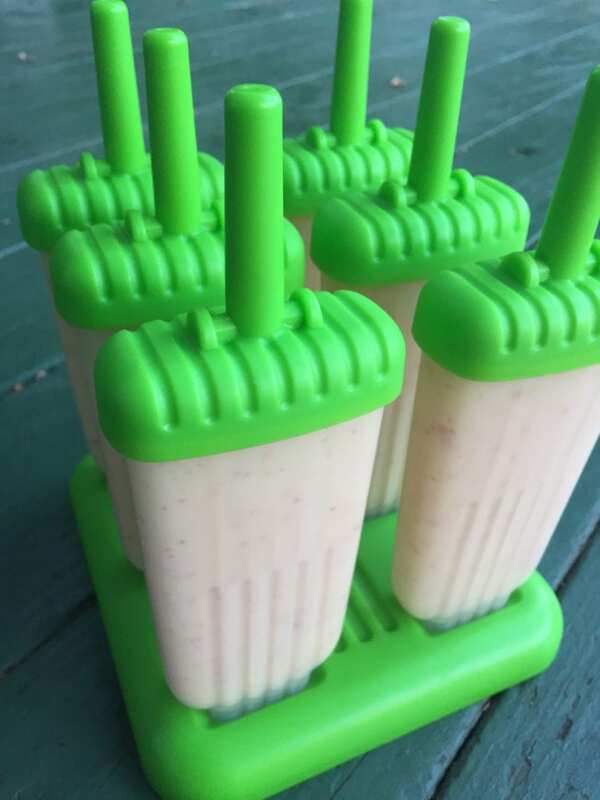 Fill into popsicle molds and then freeze for 8 hours or overnight. If you have extra mix, use in smoothies or freeze and enjoy as frozen yogurt! When ready to eat, rinse popsicles molds under warm water for 10-30 seconds for easy removal. Will last for a week or so in the freezer, but ours haven’t lasted longer than a few days because they get eaten! Watch our recipe video link HERE!